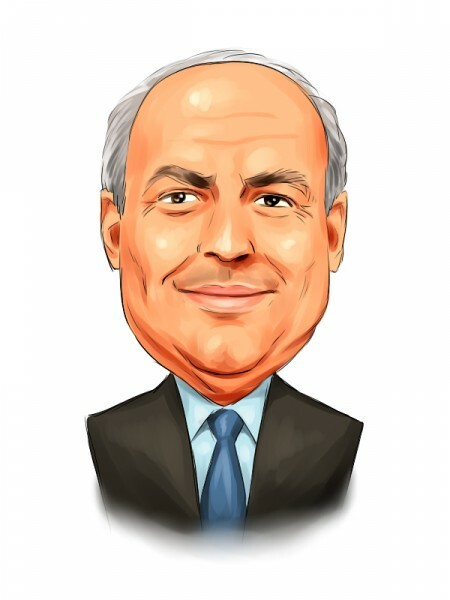 Prem Watsa and Fairfax Financial Holdings, reported in a filing with the Securities and Exchange Commission, that they have acquired a total of 129,000 shares of BlackBerry Ltd (NASDAQ:BBRY). Following the acquisition, the fund slightly upped its holding, which now amasses 101,983,700 shares of the company. However, the percentage remained unchanged, Fairfax still owns 17.7% of Blackberry’s common stock. Fairfax has disclosed that the securities have been bought by 1109510 Ontario Limited, an investment holding company, also controlled by Prem Watsa. The company bought shares of BlackBerry Ltd (NASDAQ:BBRY) in the open market, the price amounting to around $7.71 apiece. Fairfax has an agreement with BlackBerry Ltd (NASDAQ:BBRY), signed in November last year. Under the terms of the agreement, the ownership of common stock by Fairfax, and its affiliates would not exceed the 19.9% threshold and will not be smaller than 9.9% of the outstanding shares until November 2014. In this way, the latest purchase was made for investment purposes and Fairfax intends to sell shares of BlackBerry Ltd (NASDAQ:BBRY) in the future, in order to rebalance its holding. Earlier Fairfax had planned to acquire BlackBerry Ltd (NASDAQ:BBRY), the parties signing a letter of intent that stated the acquisition price at $9.0 per share. However, the deal fell through later and instead, Fairfax decided to invest in the company around $1.0 billion, through a placement of 6% unsecured debentures. Last week, Fairfax pursuant to its decision, agreed to acquire $250 million principal amount of debentures. In November, Fairfax surged its holding in the Blackberry to over 101.85 million shares, from around 51.9 million held earlier. Through the acquisition, the investor solidified its presence in the company as the largest shareholder. Another shareholder is Viking Global, managed by Andreas Halvorsen, which, however, decreased its holding by 42% over the quarter, according to the latest round of 13F filings. Viking owns 8.11 million shares of Blackberry, as disclosed in its latest 13F.